This preeminent Italian heirloom variety was first documented in Italy in the 16th century. 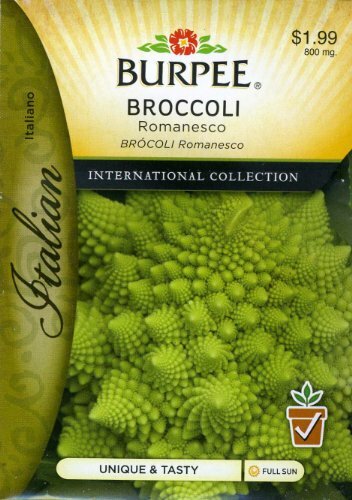 'Romanesco's crisp, beautiful apple-green whorled heads impart an altogether pleasing, nutty taste. Most often enjoyed raw, the broccoli, if lightly cooked, will retain its flavor and unique texture. 75-100 days.